While much is known about T.E. Lawrence, much is also misunderstood. The film Lawrence of Arabia built upon the legend but also did much to create that misunderstanding through a misrepresentation of the facts not soley confined to artistic limitations. 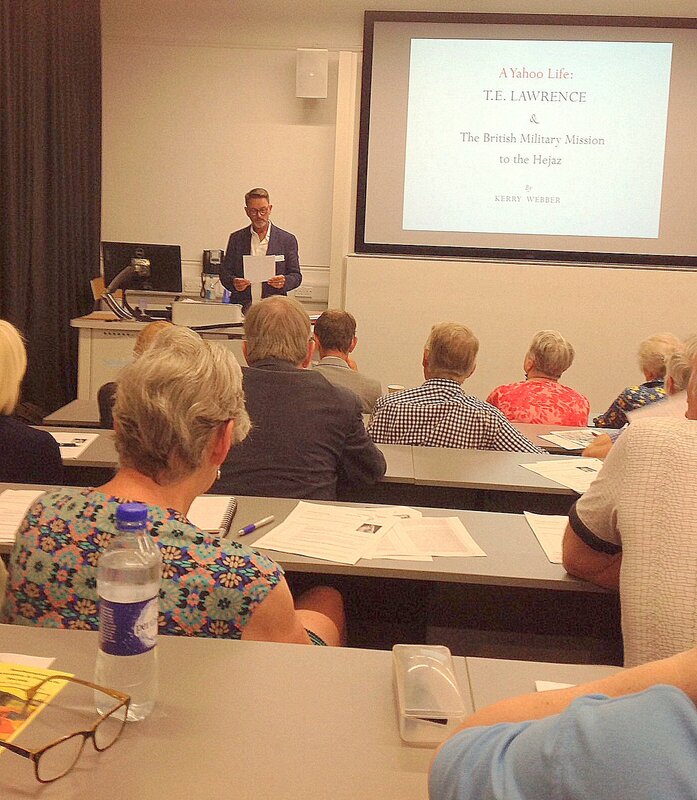 In the forthcoming biography of Stewart Newcombe, In the Shadow of the Crescent, I consider the conflicting aspects of Lawrence’s screen and popular persona with the real Lawrence. 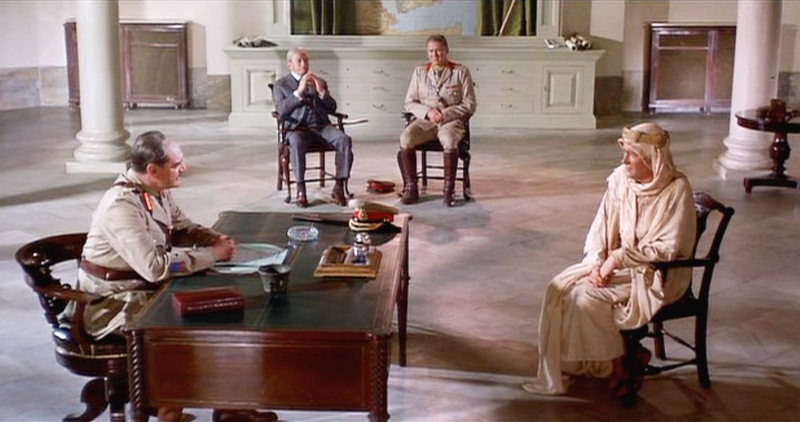 One question that can be answered here is: if Newcombe played such a significant role in the life of the real Lawrence, then where was Colonel Newcombe in the film? The following dialogue is based on a scene written by the screenwriter Michael Wilson from an early draft of the screenplay for the film Lawrence of Arabia. Although it differs in dialogue to the version that was actually filmed, the scene will be familiar to those who know the film. To set the scene, T.E. 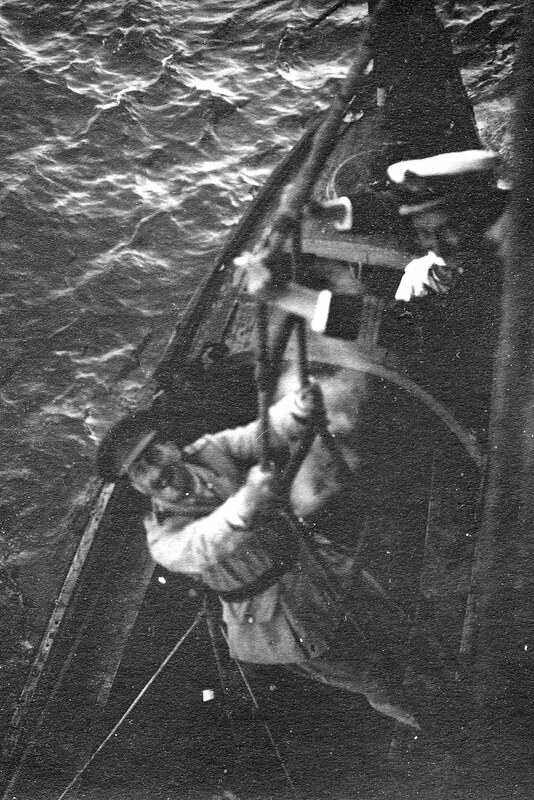 Lawrence, accompanied by his servant Farraj, has just arrived in Cairo after leading the Arab army into Aqaba. They are both exhausted and thirsty after crossing the Sinai and their Arab robes are caked with desert sand. Lawrence leads his young friend straight to the Officers’ Club where the presence of two disheveled Arabs naturally causes quite a stir. When they reach the bar, Lawrence orders two ginger-beer shandies from a startled bartender who hastily informs them that the bar is reserved for British officers. Lawrence replies: ‘I‘m well aware of that, and more‘s the pity. But we’ll have two shandies all the same.’ Colonel Newcombe enters to see what all the fuss is about. He approaches the two Arabs. Lawrence turns. ‘Good morning, Colonel,’ he replies. ‘Would you tell the barman we’ve raised a mighty thirst? You got my telegram from Ismailia?’ Newcombe informs him that they have been scouring all of Egypt for him. ‘How the devil did you get here?’ he asks, incredulously. ‘Couldn’t get a train - too much red tape - no priority, no tickets. So I stole a motorbike.’ Newcombe indicates to the barman to pour their drinks and while they both gulp down the refreshingly cold liquid he informs Lawrence that General Allenby will want to see him at once. Another man steps up to the bar and introduces himself as Lowell Thomas. Newcombe informs Lawrence that he is an American journalist. Lawrence and Farraj are led off through the crowd of curious onlookers. 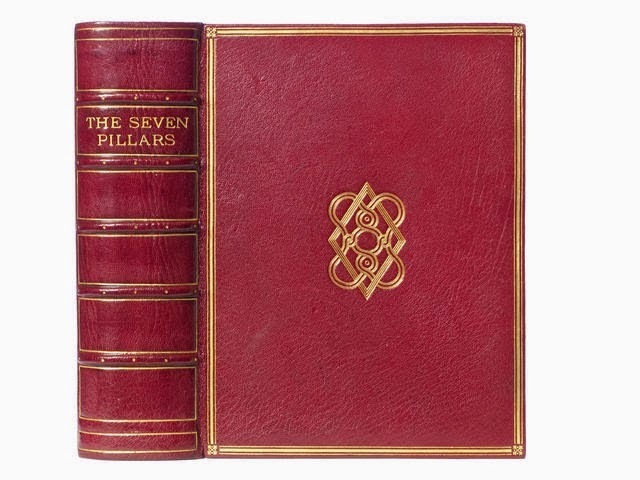 In 1961, Robert Bolt took over the task of rewriting the screenplay for director David Lean’s epic film Lawrence of Arabia from Michael Wilson, a Hollywood writer blacklisted during the McCarthy anti-communist witch-hunts. Bolt, himself an ex-member of the Communist Party and with strong anti-war leanings, kept a fair proportion of Wilson’s dramatic structure but made significant dialogue alterations which slimmed down the original script. In the scene shown above, Bolt changed its emphasis to include evidence of what he saw as Lawrence’s egomania. Bolt’s Lawrence was clearly neurotic and this key scene would eventually contain dialogue that emphasised this side of Lawrence’s character. Another important change was made to the final version of the screenplay whereby Colonel Newcombe became Colonel Harry Brighton (played by Anthony Quayle), a composite caricature of a typical British officer, named after the archetypical British seaside town. A blunt professional soldier acting as a foil to Peter O’Toole’s angst-ridden portrayal of Lawrence, Bolt saw him thus: ‘…Brighton has to stand for the half admiring, half appalled disturbance raised by Lawrence in minds quite wedded to the admirable and inadequate code of English decency.’ Here was a description of a character created to fulfill a dramatic device, a kind of man for all seasons who bore no relation to the real Colonel Newcombe. He was written out of history, as portrayed as drama, and therefore out of the popular misinterpretation of the Lawrence legend. Bolt wrote a scene, cut and then later restored in 1989, in which Allenby said to Lawrence: ‘I believe your name will be a household name when you‘d have to go to the War Museum to find who Allenby was.’ It would also require determined research to find out who Newcombe was. 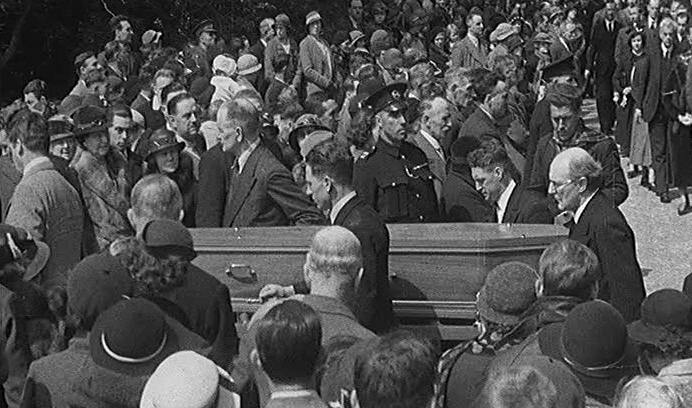 Stewart Newcombe appears on a contemporary newsreel taken at the Dorset funeral of Lawrence, positioned to the right and in the middle of the wheeled bier, helping to steady the coffin with his left hand as it is pulled along the church path and out onto the country lane leading to the grave. 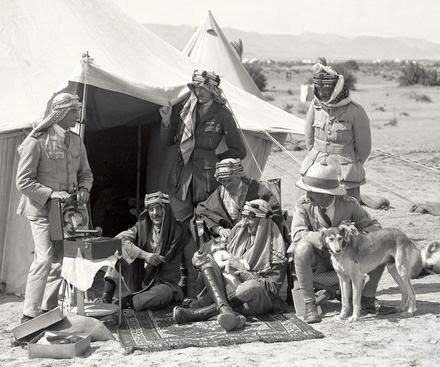 On that crisp spring afternoon, 21 May 1935, surrounded by friends from all the periods of his life, Lawrence became once again Lawrence of Oxford, of Carchemish, of Cairo, and most famously and persistently, of Arabia - although as Sir Ronald Storrs once pointed out, ‘of any place for a little while’. For others gathered at the grave he was simply Shaw of the R.A.F. 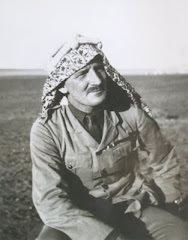 On the eve of the First World War, a team of military cartographers and surveyors, under Stewart Newcombe’s command, was sent out to measure and map a strategic triangle of southern Palestine - today’s Negev Desert – as part of a secret survey carried out on behalf of the British War Office between January and May of 1914. The survey of the region known since Biblical times as the Wilderness of Zin would gather vital information about a previously uncharted area, considered to be of military importance in the run up to any future conflict with Turkey. It would provide the Director of Military Operations in London with the missing piece of a jigsaw that was started by Conder and Kitchener’s extensive Survey of Western Palestine in the 1880’s, carried out on behalf of the Palestine Exploration Fund - the P.E.F. 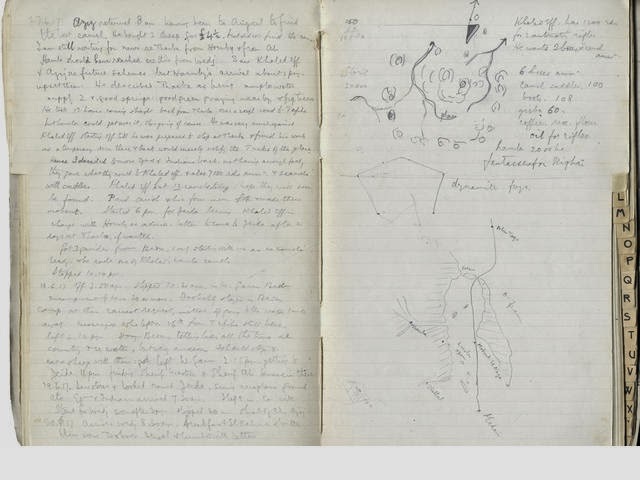 The Wilderness of Zin survey proved to be the last opportunity before the First World War to systematically gather reliable intelligence on the ground. By the time the War Office got their maps of the Sinai and the Negev, a shift to visual air reconnaissance had been introduced, augmented in the latter half of 1916 by photo reconnaissance. Some years later, Newcombe himself would explore a method of land contouring by use of the Thompson Stereoplotter on aerial photographs. 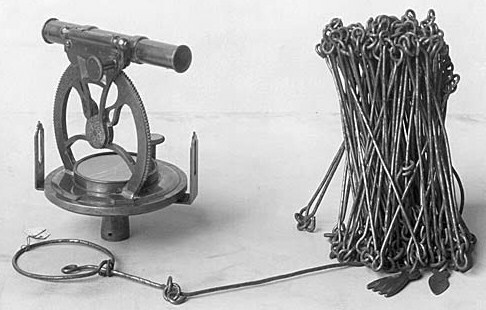 But in the great surveys of Palestine, Sinai and the Wilderness of Zin the surveying teams in the field used the simple tools of their trade – theodolite, compass and measuring chain - essential components of a cartographer’s tool kit. What were also needed were ingenuity, courage, diplomacy and tact when dealing with local tribes or Ottoman authority. Newcombe was highly praised by T.E. Lawrence for possessing these qualities in abundance and paving the way for future travellers in the desert. 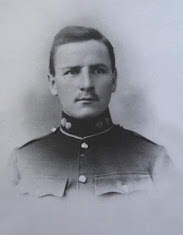 A resourceful and tenacious character, Stewart Newcombe’s life epitomized those robust Victorian qualities that helped paint the globe pink but whose life encompassed the eventual shift in Britain’s relations with its subject peoples and saw the beginning of the fall of the last of the great world empires, a life that spanned Pax Britannica to decolonisation. 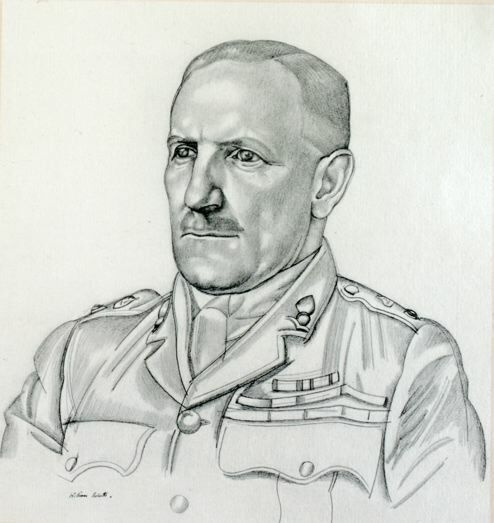 He died in 1956, just days before Gamal Nasser of Egypt nationalised the Suez Canal and three months before the débacle that became known as the Suez Crisis created shock waves across the region, when Israeli incursions into the Canal Zone "forced" Britain and France to attempt to regain control under a pre-arranged agreement known as the Sèvres Protocol. Politically it was a shoddy operation; militarily it was of benefit only to Israel which gained an outlet for international shipping through the Straits of Tiran, an 8 mile bottleneck between the Sinai Peninsula and Saudi Arabia that the Egyptians had previously kept shut with strategically placed guns to close off access for Israeli ships entering the Red Sea for routes to and from Africa and Asia. The fiasco also helped bring about the abandonment of the British policy of slowly nurturing the colonised people of Africa to self-determination. The cry now was for Britain’s immediate departure. 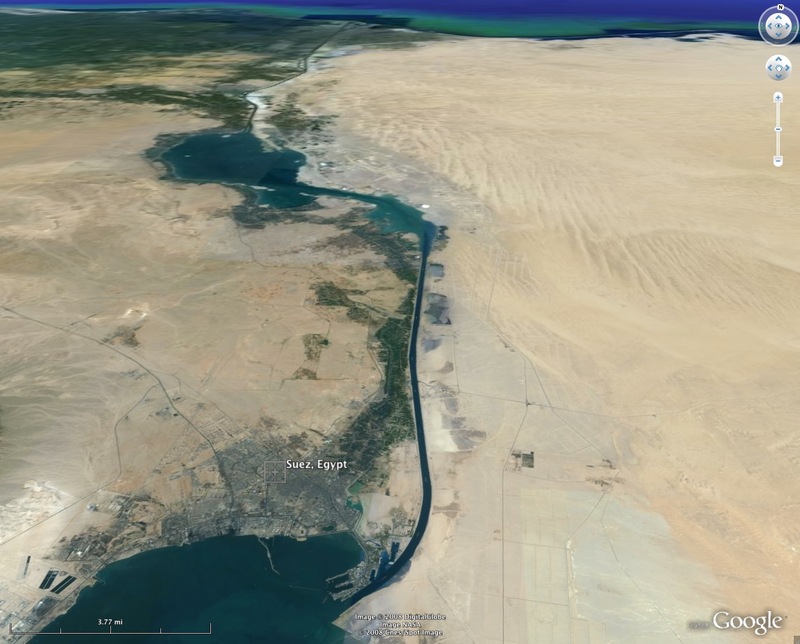 Suez had been fought over by Britain for the last time; the crisis would prove to be the death knell not just of the British Empire but to all the empires of Western Europe. Stewart Newcombe was not to witness the inevitable conclusion to the dismantling of the British Empire, but he would not have been surprised at its outcome. Newcombe had once helped protect the canal by mapping its eastern approaches. Where maps then held the power, cheap transistor radios were the new weapons, distributed widely by Nasser to spread the word of nationalism and unity across Africa and the Arab world. Today, the internet is the weapon of choice where the rallying cry of a new generation can be heard across the Arab world on Facebook and Twitter - a wind of change that is felt more keenly when the cry is heard by those without access to the media. The use of force by regimes against its own people now changes the situation, as seen recently in Libya and Bahrain, while around the world the wheels of diplomacy turn slowly. Before a U.N. resolution was passed on 17 March 2011 the international community appeared reticent to reach an agreement on how to intervene – in most cases it was an oil-driven paralysis that had not affected their response to Egypt, in others it is the risk of setting a precedent when their own domestic condition may trip them up in the future. Today we exist with the consequences left over from the end of the age of empire, where an occasional aftershock pricks our collective conscience, yet one more seismic shift in the new world order – a constant reshuffling of the pack. Regimes come and go - our response to them is judged by history. In the 1870’S Newcombe’s father, Edward, helped build the first railways in Japan under the accelerated industrialisation of the period known as the Meiji Restoration. Two of Newcombe’s brothers were born in Osaka. 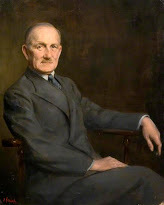 It was therefore inevitable that Stewart Newcombe should have become interested in engineering, and especially in the engineering and construction of railways. 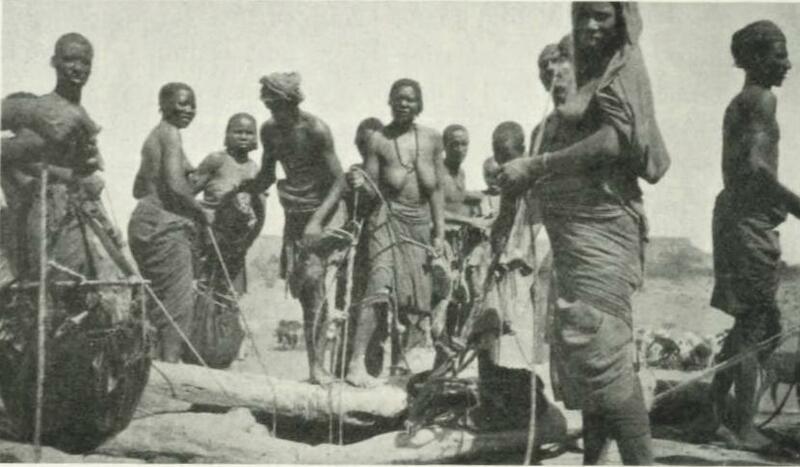 During the scramble for Africa he helped push the railways through Sudan; by 1917 he was to prove equally adept at blowing up railway lines in the Hejaz. My thanks and thoughts go to the followers of this blog from Japan who, my stats tell me, have continued to visit during the last few days.